A refreshing start to summer! 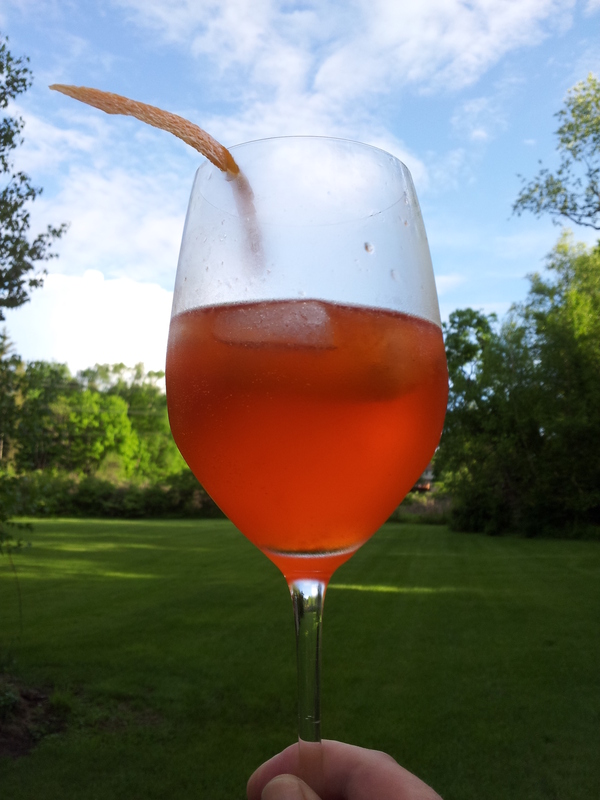 Two of my favorite Summer sippers are Aperol, a slightly sweet and bitter apéritif and Fino Sherry, a dry, crisp, yeasty treat. What better way to maximize on my love for both than combining them in a delicious cocktail. Both are relatively low in alcohol so the addition of a local vodka adds just enough kick without packing too much of a punch. This is a perfect way to start your evening or enjoyed poolside! Dash rhubarb syrup, Morris Kitchen or recipe here. This is also wonderful added to sparkling wine!